In 2005, Pelikan released the M620 City Series: Piazza Navona Famous Places Special Edition. This piston-filling fountain pen is quite pretty, in semi-transparent amber with bronze elements. It has gold-plated trim, including the bands on the cap, barrel, and upper lip of the gripping section. New-old-stock. Mint. One available with a two-toned 14C, fine nib. 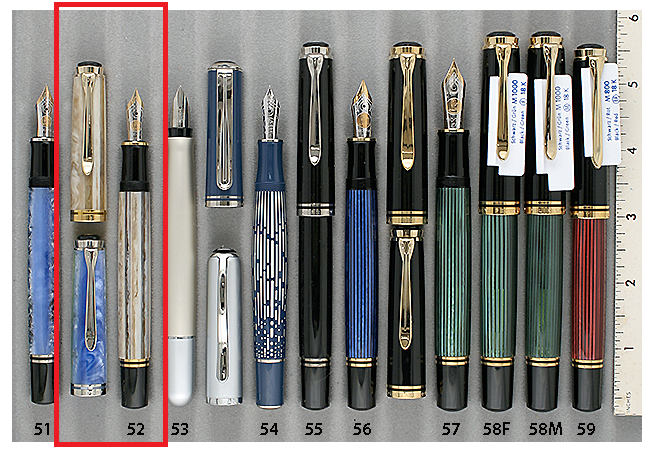 This entry was posted in Modern Pens and tagged Catalog, Catalogs, Extraordinary Pens, Pelikan. Bookmark the permalink. Follow any comments here with the RSS feed for this post. Post a comment or leave a trackback: Trackback URL.